A little house in the Big Easy. All photos by Berit Baugher. You've seen the French Quarter, you've eaten too many beignets. Think you've done New Orleans? Not until you stroll Magazine Street. Here are the best stops along the way. 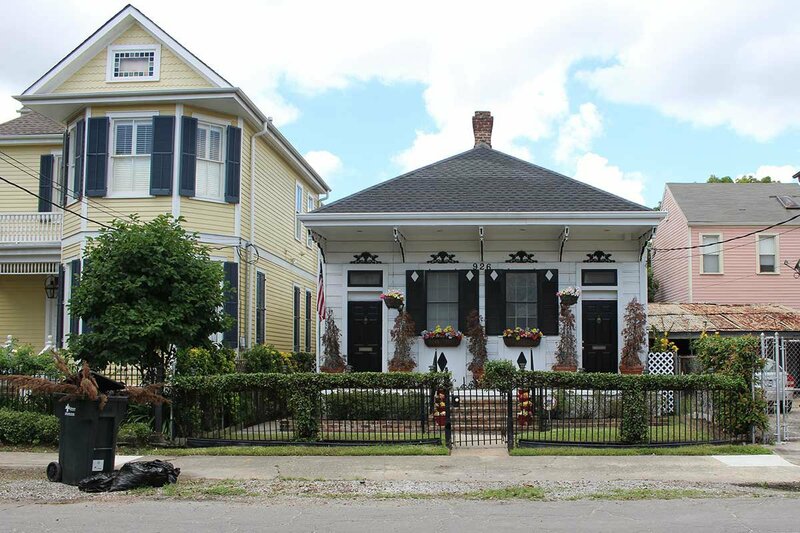 NEW ORLEANS – My first visit to New Orleans was spent exploring the French Quarter, the Garden District, and a little bit of the Bywater. By the end of day five, I had tried the cool restaurants — the touristy ones, too — ate beignets, sipped a disgustingly sweet hurricane cocktail, listened to jazz, and visited a few museums. I was overstuffed and pretty sure that I'd successfully seen everything there was to see. Then I found out I would be spending a lot more time in the city, based in the Warehouse District, a neighborhood I had somehow overlooked, and the starting point of what has become one of my favorite streets, the long and varied Magazine Street. There may be no better way to get a feel for New Orleans than to spend a day walking the six-mile length of Magazine Street. If it's too hot for a five-hour walk under the baking Louisiana sun, which will probably be the case, then drop in to the sections that look most interesting. But don't skip it: Magazine is a charming, small-town, Americana Main Street that follows the curve of the Mississippi, on a route a few blocks north of the river. From its northernmost point in Audubon Park down to the busy streets of the Central Business District (known simply as "the CBD"), you'll get a glimpse of the many neighborhoods in between, each more varied than the next. John Derian plates and Savon de Marseilles soap bottles line the shelves of the clothing and home shop that reminds me of the vibe at Calypso St. Barth. A darling indie bookstore a few blocks off Magazine. 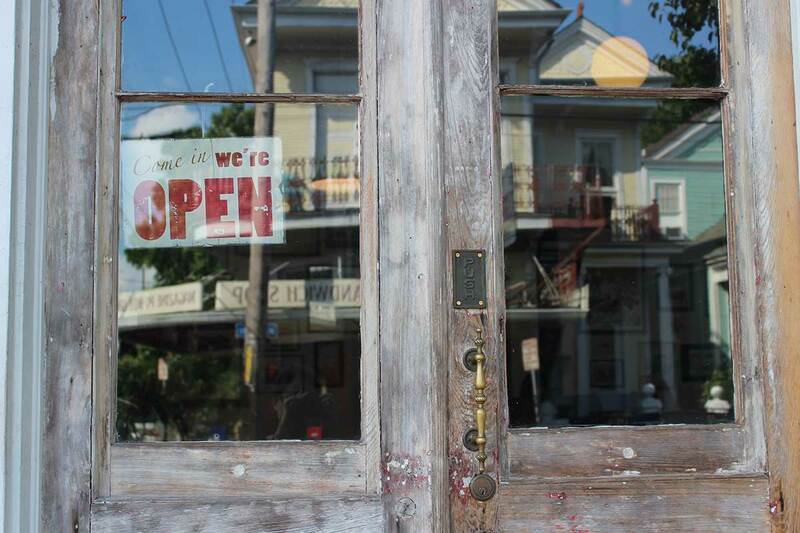 Stop by for the vast selection on the Big Easy. Half shop, half spa, it's just as easy to lose yourself in the Dead Sea mud treatment as in the rows of serums and shampoos. The second outpost of John Besh's wood-burning oven pizza restaurant. The daily half-price happy hour means really good pizza at a really good price. Artist (and Fathom contributor) Ashley Longshore paints pop culture portraits of icons like Audrey Hepburn, Kate Moss, and Friday Kahlo with an indisputable sense of humor and whimsy. House-baked baguettes line the counter of the casual bakery and patisserie known for their French-style king cakes and bright blue exterior. The best cold-pressed juices in town. After a night on Bourbon, you'll be aching for a bottle of their basic greens. 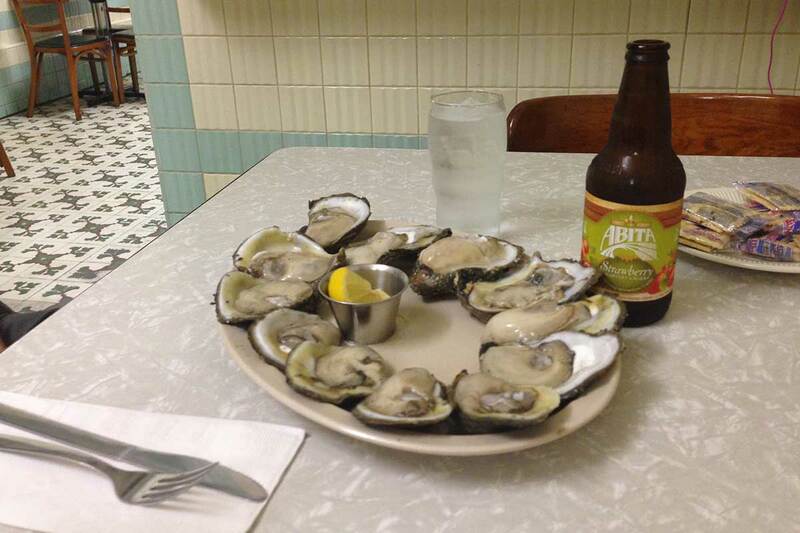 Wall-to-wall tile covers the interior of this old-school oyster spot dating back to 1919. Try the famous oyster loaf loaded with giant fried oysters. Check the calendar: They're closed from June to August. A grocery store turned neighborhood bistro, with delicious blue crab beignets and the tastiest cheeseburger in town. Beat the heat with the local treat of choice, an icy snoball drenched in sweet fruit-flavored syrup. The goods at Box Paper Scissor. 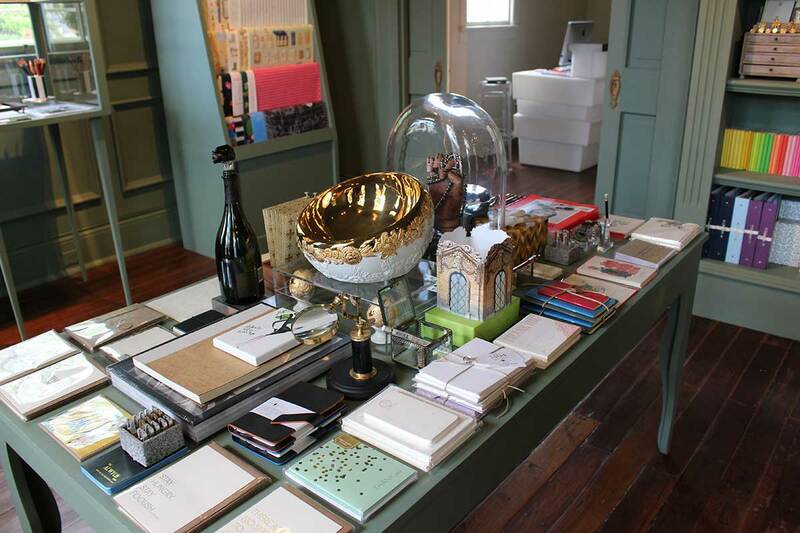 A hip stationery store with a vast selection of international brands curated by former wardrobe stylist Jovan Jumpierre. Cozy wine and cocktail bar decked out in vintage finds, serving small plates. For a bigger meal, head next door to sister restaurant Lilette, a French-Italian bistro. 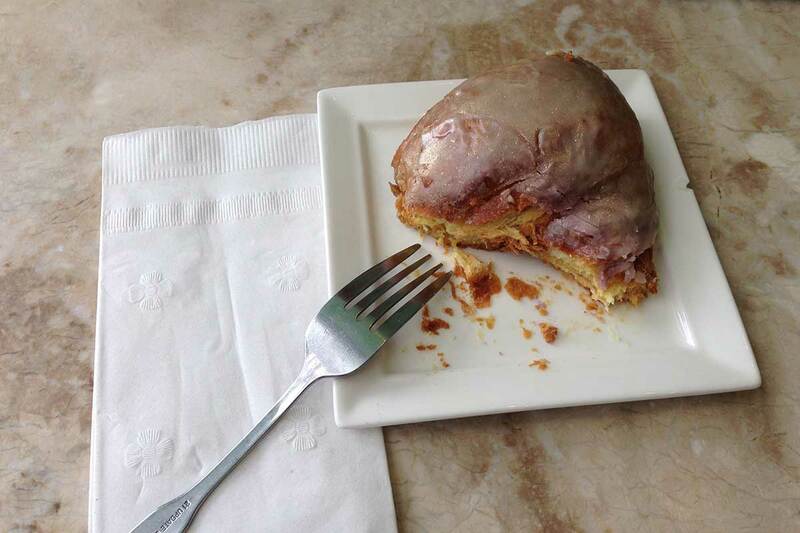 A slice of Sucre's king cake, the best in town. Talk about a claim to fame: Skip Murray is the man who introduced hot dogs to the softball circuit in the United Kingdom. After Hurricane Katrina, he came home to set up a gourmet sausage stand. What's good? Everything. Settle down at the outdoor picnic tables for bar food and a pint of one of 50 beers on tap. The place to go for a sparkly slice of king cake and delicious chocolate bars flavored with exotic ingredients like Sicilian pistachios and rose petals. A French bistro with Southern influences and a focus on locally-sourced ingredients. Skip the touristy tee shops in the Quarter and pick up a locally-designed shirt instead. Proceeds from sales are donated to post-Katrina recovery efforts. 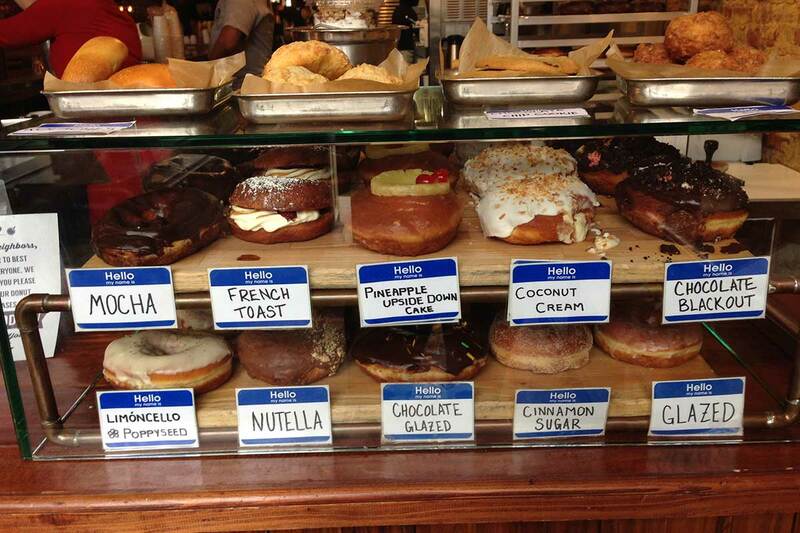 Deliciousness at District: Donuts. Sliders. Brew. Bite-size burgers, waffle fries, a revolving list of fancy donut flavors, and free Wi-Fi. When you've had your fill of po-boys, peruse the 40+ sandwich menu at the traditional Jewish deli run by a recovering attorney from Philadelphia. A stylish men's shop straight outta Brooklyn. Brands include APC, Saturday Surf NYC, and Soludos. Check out the magazine rack for a hard-to-find indie titles. Old-school barbershop selling vintage razors, Mason Pearson combs, and a signature line of shave oil. A divey Mexican joint with Creole flavors, supersize portions, and frozen margaritas by the pitcher. Mini marketplace selling antiques, local art, furniture, and jewelry made by area artists. Step a few feet off Magazine for a frothy chai tea latte, vegan muffins, and plenty of seating to spread out with a newspaper or computer. Ditch the heavy Southern food for a taste of the city's best Vietnamese at a no-frills spot that serves an amazing flank steak pho. One of the city's newest and most buzzed-about restaurants only has 16 seats and serves a lengthy molecular gastronomy tasting menu. If you're not in the market for a big meal, head upstairs to the cocktail lounge for drinks and small plates. Local brunch favorite specializing in Central American dishes like migas and huevos rancheros. Absolutely unmissable: their fresh-squeezed orange-mango-pineapple juice.